Are you a first-time buyer that’s shopping for homes in West Michigan? Chances are, there are a number of different factors contributing to your idea of the perfect home. Yes, the property itself is important, but so is finding the right community that provides the entertainment, cultural, and social events that will keep you there long-term. Grand Rapids has surged in popularity as a hot spot for Millennials purchasing their first homes because it offers an attractive housing stock in addition to a number of exciting events and venues that provide year-round entertainment. 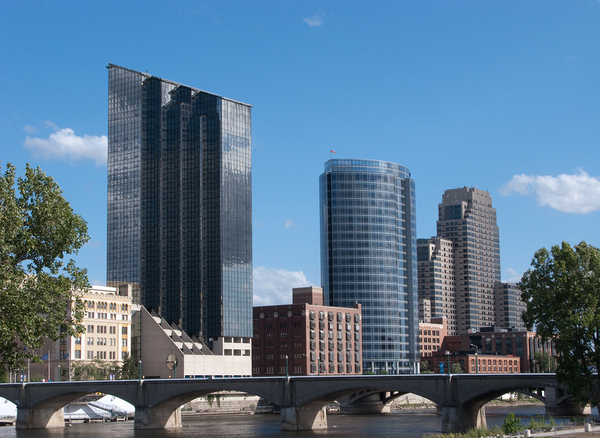 These are six reasons to consider Grand Rapids as the perfect place for your new home. Love a good skyline? Check out Grand Rapids. Grand Rapids has a long history, and this is reflected in the diversity of housing options available. Looking for a snazzy downtown loft? How about one of the country’s most significant historic districts? From single-family homes to more modern condos, the housing stock of Grand Rapids has made it particularly appealing to first time home buyers. ArtPrize is an annual event that fills Grand Rapids’ public and private spaces with art from some of the best international artists out there. With hundreds of pieces spread out around the city, Grand Rapids attracts collectors and art enthusiasts from around the world for the event. One of the best parts? At ArtPrize, the public is the jury, so you get to vote on which piece you think should take home the $200,000 prize. Grand Rapids holds the designation of “Beer City” — with over 40 breweries there are enough options to keep craft beer enthusiasts busy all year. With tours, tastings, and educational opportunities, visitors and residents alike flock to breweries that use the area’s natural resources to craft their award-winning selections. Detroit is roughly 2 Â½ hours from Grand Rapids, and Chicago is around 3, so you’ll always be able to get your fix of major league sports should you need it, but Grand Rapids itself is home to plenty of teams. The minor league baseball team, the West Michigan Whitecaps, play in the hometown Comstock Park, and the Grand Rapids Griffins hockey team is a feeder to the legendary Detroit Red Wings. 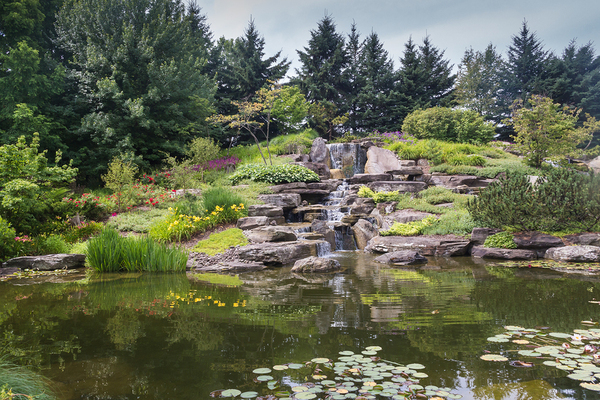 Grand Rapids hosts an appealing mix of activities, from sports to the Meijer Gardens and Sculpture Park (pictured). In the downtown area alone there are a number of significant museums and historical sites that are among the country’s best, but Grand Rapids has historical and cultural gems just about everywhere. When it comes to art and architecture, The Grand Rapids Art Museum highlights some of the world’s most significant work, and the Meyer May House is a restored Frank Lloyd Wright building from 1908. With a Children’s Museum and even the Gerald Ford Presidential Museum, there is cultural fun available for people of all ages. Finally, with Grand Rapids’ close proximity to Lake Michigan, as well as nearby significant farming communities, the area has a well-respected dining scene, perfect for foodies who appreciate their dishes to be as fresh as possible. From restaurants to local farmer’s markets, residents can eat fresh every day. Grand Rapids continues to grow as one of the most appealing choices for first-time buyers, so if you’re ready to start your home search, get pre-qualified for a loan today.